How To Apply For PAN Card Online/Offline In India- PAN Card (short form), well known as Permanent Account Number Card in the nation is not a new thing in India. The first time, PAN Card was issued on 12th January 1964. Basically, it has been designed with a special structure of a PAN Card number code for the use of identification and income tax details purposes. Irrespective of the fact, whether it is a PAN Card number of India’s richest person OR the president of the prime minister of India, PAN Code number will fall in the format – AAAPL1234C. In short, under section 139A of the Income Tax Department, Permanent Account Number Card is issued throughout the nation for, mainly for Indian Nationals only. In fact, PAN is not limited to Indian Citizens only. For any foreign citizen as well, if anyone is found interested to set up his/ her business in India or wish to invest in India, will have to go through the procedure of obtaining the PAN Card. Thus, today, in this in-depth guide, we’ll let you know the step by step procedures of PAN Cards in two cases. The first case is to obtain a very brand new PAN card online. In this, complete details of How To Get A New PAN Card Online will be taught to you. Next, if you’ve received a PAN Card and found any errors later OR you’ve shifted to a new place, thus wanted some changes in the PAN Card, in this case, we will teach you, How To Edit/ Make Corrections in PAN Card Online. Just to let you know, this is a Government matter and it should 100% legalised from all the side. Getting two or more PAN cards is completely illegal and has a fine charge of rupees 10,000 if caught. So don’t expect any such illegal trick from soas.in in any form of content. Here, each character which is used in the PAN Card number has a particular meaning, like for Limited Liability Partnership (LLP) – E is used. For Trust (AOP) – T is used and Individual (Proprietor – P is used). For Artificial Juridical Person – J is used and for Local Authority – L is used. For HUF (Hindi Undivided Family) – H is used and for Government identifications – G is used. For Firms, F is used and for a Company – C is used. For Body of Individuals (BOI) – B is used and for Association of Persons (AOP) – A is used. Searches related to How To Apply For PAN Card mainly includes – Duplicate PAN Card Online, PAN Card Download, PAN Card details, PAN Card Application Form, UTI PAN Card, PAN Card Online Print, PAN Card Correction Form and View PAN Card Online. Here, we also want to disclaim that in near future, along with upcoming Artificial Intelligence and latest technology, steps to Get the PAN Card may change or vary, thus the steps mentioned below are completely accurate keeping in mind what works in October 2018 (and upcoming nearby months). Even if the changes are observed, please make sure to keep in mind that steps will be uploaded on official website of PAN Card which is www.nsdl.com. Documents Required For PAN Card? Affidavit mentioning the Date of Birth of individual and is undersigned by the Magistrate. Domicile Certificate (Mool Niwas Pramaan Patra in Hindi) issued by either State Government or Central Government of India. PPO or Pension Payment Order, mainly for Government Employees. Marriage Certificate, issued by Official Of Marriage Registrar. Driving License of an Individual. Aadhar Card of an Individual. Birth Certificate which is issued by any office or authority which is specifically authorized to issue the Death Certificates as well, eg. Municipal Authority. 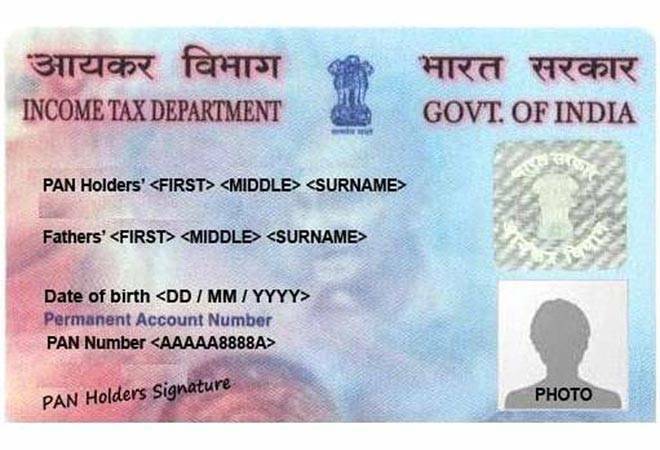 Why PAN Card Is Important Document To Have? Without PAN Card You Cannot File Income Tax Returns: Each and every PAN Card issued to the people on Planet, have one thing in common i.e. “INCOME TAX DEPARTMENT” written on them. All those who are eligible for Income Tax in India (keeping various conditions of Government of India in mind), it is mandatory to file IT Returns. And, it is not possible to file one without PAN Card. Without PAN Card You Cannot Open A Bank Account: Reserve Bank of India has even made it mandatory for all the Banking institutions irrespective of the fact that whether it is a private or Governmental bank, before opening the Bank Account of an individual, one has to have a PAN Card details submitted. Without PAN Card You Cannot Purchase A Jewellery: On 7th October 2017, Jewellery sector captured the headlines that “Now no PAN Card required for Jewellery purchase of over Rs. 50,000.” But what if you’re going for a 5 Lakh Jewellery purchase, the owner of the shop will have to issue the receipt with PAN Card details uploaded to the required website. Without PAN Card, Foreign Exchange Is Not Possible: Thinking of leaving the nation for some official or unofficial work and going to foreign. First of all, not having a PAN card will bring uncountable hinderances in your passport making procedure. And, later, foreign exchange is not allowed without a PAN Card. Without PAN Card You Cannot Have Telephone Connections: Telephone connections and New SIM cards have always been a field of high security. Reason being, any kind of fraud, assault or unusual crime can be proved successful with the help of Calling/ SMS/ Multimedia etc. Now, if you want to set up any of these, having PAN Card as a part of important identity proof is mandatory. Helps In Buying & Selling Property: These days, owners are not those who used to be a couple of years back. At the time of renting their property, first, they ask for Advanced Payment and along with that, PAN card, as a part of identity proof. PAN Card also works as an ID Proof in the case of buying and selling a property. Helps In Receiving Heavy Loan Amounts: Whether it is an educational loan, personal loan, car loan, business loan or anything, All banking and financing institutions have already been ordered by Reserve Bank of India that it is mandatory to submit the PAN card details of the individual interested in taking loans at the time of submitting of application. Works As A Strong Proof Of Identity: There are few aspects of rules and regulations in India, in which age matters a lot. Like marrying in the society, minimum age of 21 years for men and 18 for women. Making a driving license, minimum 18 years of age. Thus, either you’re applying for a Passport, or a Driving License etc., PAN Card works as a proof of identity and age proof as well. Helps In Getting a Debit Card or Credit Card: It is mandatory for each and every individual living in India to meet the criteria set by the Government of India, in fulfilling the Income Tax. No bank of a financial institution is allowed to issue any kind of Debit Card, Credit Card or Payment Card if your PAN Card is not valid. Helps In Cash Deposit At Any Bank Of India: According to the new rule of Reserve Bank of India, which is mandatory for all other banks in the nation, if a person deposits more than 50,000 Indian National Rupee in cash, the cashier will have to submit the PAN Card details of the individual as well. Thus, not having a PAN card, in this case, can create a problem. STEP 1: See, 8 August 1996 founded Indian central securities depository based in Mumbai – National Securities Depository Limited or NSDL. And, 1993 founded IT Service Managment Company – UTI Infrastructure Technology And Services Limited or UTIITSL, both are given the official and authentic contract to apply for PAN Card online. Thus, you can visit an official website of any of the two. Here, www.nsdl.co.in is the official website of National Securities Depository Limited. And, www.utiitsl.com is the official website of UTI Infrastructure Technology And Services Limited. STEP 2: Once click on the above link on the official website, you will be redirected to a URL – https://www.onlineservices.nsdl.com/paam/endUserRegisterContact.html. On this page, starting with the top, from the side of Tax Information Network of Income Tax Department, there are two options initially, Apply Online and Registered User. Here, you will have to go for Apply Online. Just the Application Type from the drop-down menu out of – New PAN – Indian Citizen (Form 49A), New PAN – Foreign Citizen (Form 49AA), Changes or Correction in Existing PAN Data/ Reprint of PAN Card (No changes in existing PAN Data). Forget the third one if you’re applying for the first time. And, select out of first and second option accordingly. STEP 3: Now switch over to Category and select any one out of the following from the drop-down menu – Individual, Association of Persons, Body of Individuals, Company, Trust, Limited Liability Partnership, Firm, Government, Hindi Undivided Family, Artificial Juridical Person, Local Authority. Now switch over to Applicant information which holds conditions like 1. Initials are not permitted in the first and last name. 2. Applicant’s identity proof, proof of address and proof of date of birth should contain the exact name as mentioned in this field. Now, select the Title, Enter the last name/ surname, first name, middle name, date of birth/ incorporation/ formation, email ID and Mobile Number. Next enter the right Captcha Code and press Submit button. STEP 4: Now comes the most crucial step i.e. Submission of documents, the appropriate list of which you just read above. Now, this can be done through three major methods. Either you physically deposit all the documents to NSDL office. The second option is to scan and upload the documents online on NSDL website. And, third and easiest is to just provide your Aadhar Number and remaining documents will be automatically verified by NSDL through Aadhar ID. STEP 5: If you choose to go with Aadhar Card only, you will just have to go through OTP (One Time Password) and Direct Payment option. The procedure of going through the AO Code or Assessing Officer Code is extremely simple but seems extremely complicated because of terminology only. It is as simple as merely selecting correct choice out of four i.e. Government Category, Defence Employees, Foreign Citizens and NRI and Indian Citizens etc. Further, there are remaining personal details needs to be entered while choosing the AO Code i.e. you need to select your state and area of residence. STEP 6: Here at this point, AO code becomes a little bit complicated, when keeping different categories in mind like companies, non-salaried people, government servants, private sector employees, etc., you will have to select your AO Code. But, the good part is, your CA or Chartered Accountant can help you out with this. List of all the AO codes will automatically appear on your screen just a few seconds after you have successfully and correctly opted out for the State and Area or Residence. Once you click on the correct AO code, it will get automatically filled up in the form. STEP 7: Now you will just have to select the documents you have submitted as a Proof of Identity, Proof of Address or Proof of Age or Date of Birth. The next step is to make the successful online Payment. Nearly 120 rupees will have to be paid by the Indian Citizens online. After successfully making the online Payment, you will be sent an Email containing each and every detail of the procedure. You can track your PAN card as well through that mail only, thus keep the details saved with you for future references. How To Change Address In PAN Card? Irrespective of what the reason it is, if you’re willing to change the address in your PAN card, just follow the below mentioned steps. STEP 1: First of all, visit the official website of NSDL or National Securities Depository Limited i.e. www.nsdl.co.in. STEP 2: Find this written on the page – “Select the category of the applicant,” keep scrolling down until you get this. STEP 3: Before clicking on the select button, choose your category from the drop-down menu out of (individual/partnership firm/association of persons/body of an individual, etc.). For most people, it would be individual. STEP 4: After entering all the personal details, checking the box inside for which you make the corrections, enter the PAN number at the right place and following the remaining easy steps given there. In the editing or correction procedure of PAN Card, in a major, though you will have to go through four detailed steps i.e. Guidelines, Personal Details, Contact and Other Details and Document Details. Apart from that, when you tick as the applicable address for communication out of residence and office, Important instruction for paperless PAN application through e-KYC (only for Individual) are provided by the board. 1. The address used in the Aadhar Card would be used in the PAN application as residence address and no need to fill residential address. 2. PAN Card will be dispatched at the address mentioned in Aadhar Card. 3. If the length of address as per Aadhar Database exceeds the length as specified by Income Tax Department then you will not be able to avail e-KYC service. In the beginning, the first step is same as when Applying for New PAN Card. Visiting above mentioned links of NSDL website is mandatory. Thereafter, instead of selecting the New PAN Application Form number, candidates should go through “Changes or Correction in Existing PAN Data/ Reprint of PAN Card (no changes in existing PAN Data).” Next option is to fill all the required details and click on the submit button.